Communication aids come in many shapes and sizes. Most need to be customized to match the physical, intellectual and social needs of the individual (see NECAS for more information). 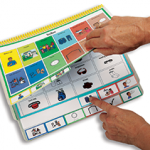 This includes personalising the vocabulary and content and considering issues such as how the person will carry the aid, point to items, and update and maintain the aid. 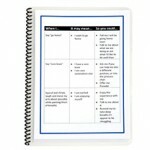 Comprehensive Expressive Aids: These aids aim to meet most of a person’s communication needs throughout their day. They include alphabet boards and communication boards and books, with a wide range of messages represented by letters, words, photos and/or symbols. 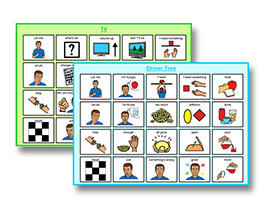 Targeted Expressive Aids: These aids are designed for specific situations when limited message sets are needed, such as community request cards, or object symbols to allow a person to make basic requests. 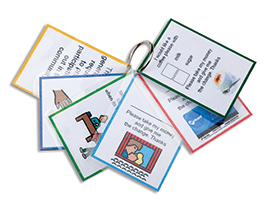 Visual Supports: Visual supports assist a person to make sense of their day, remember events, or help with the completion of tasks. Many people with complex communication needs have difficulty with memory and understanding abstract information. 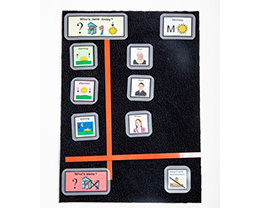 Examples of visual supports are picture or object calendars, picture shopping lists, and picture social stories. Supports for Communication Partners: These provide details about an individual with complex communication needs, his/her means of communication, and other routine related information that assist a communication partner to consistently support this person throughout the day. 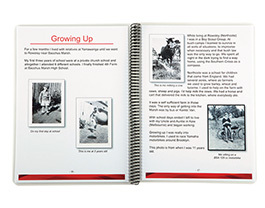 Examples are a ‘Book About Me’, Personal Communication Dictionary or Personal History. Activity schedules may be suitable for people who find it hard to remember the ‘next steps’ in an activity or daily routine. 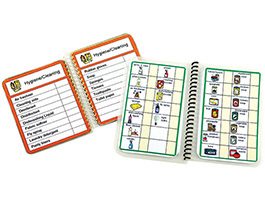 An activity schedule shows the sequence of all the steps or stages of an activity – for example; ‘the steps involved in making a coffee’, ‘the activities during a morning at school’ or ‘how to do the laundry’. You can use whatever the person understands most easily e.g. photos, pictures, line drawings and/or words. Available via NECAS for eligible adults in Victoria. 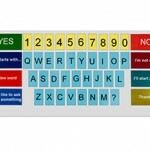 An alphabet board may be suitable for people who have literacy skills. It can be designed specifically to suit the person’s needs eg. using either an ABC or QWERTY format – with direct access or partner-assisted auditory scanning. A non-tech option such as this is also helpful as a back up for those people who may have an existing electronic communication device – remember batteries don’t last forever! A photo alphabet board is a simple way to personalise an alphabet board. The board sits in the middle and is framed by pictures or photos of important people, frequently requested items and other useful vocabulary. The board may be in qwerty or alphabetical layout. 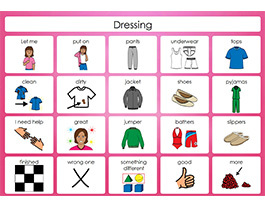 A behaviour script may be suitable for people who can understand photos, pictures or words. It can help to reduce an inappropriate behaviour or reinforce an appropriate behaviour. It tells a story about the appropriateness and the consequences for these behaviours through photos, pictures or words. Examples of behaviour scripts are; ‘what to do when Bob burps’ or ‘how to praise Jamie during morning circle’. A ‘Book about me’ may be suitable for people who can understand photos or pictures but is most useful for support workers. It contains current, relevant information about a person’s needs and abilities. 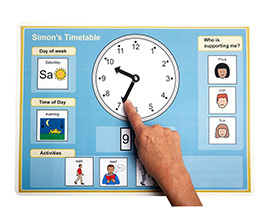 It can provide support people with information about a person’s daily routine and how to support them consistently with activities of daily living e.g. during mealtimes. It may also provide communication partners with information on the person’s likes and dislikes. Watch a video of this item by clicking here. Some people find it difficult to manage their money. We have to budget so that our income does not exceed our expenditure. The budget wheel is a simple way to match the amount of money a person has with the different expenses that happen over a week. Each piece of the wheel can represent the cost of an item and activity. As the item or activity is paid for, it is replaced on the wheel. When the wheel is full, no money is left. This calendar is designed for people who may find reading print difficult. Routine events and activities are represented by clear pictures and photos that can be added or removed as needed. Vocabulary includes appointments for hairdresser, doctor, dentist, and other paramedics (e.g. physio, podiatry), visits to friends and family, special events such as birthdays, weddings, holidays and funerals and other activities such as going to the gym, swimming, shopping, picnics, movies… You may also request personalised items. Used effectively by people who understand objects, photos or pictures. It is designed so that people who find it hard to express themselves can relate information about activities and events that they have experienced. They include topics of conversation, information about the activity or event and some interactive statements to engage other people in these conversations. 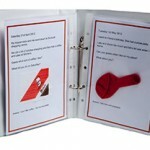 (referred to as remnant/memento or conversation book, talking points & props). 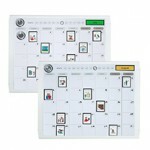 This communication aid provides a set of picture or photo choices that relate to one situation. For instance, going to the gym. 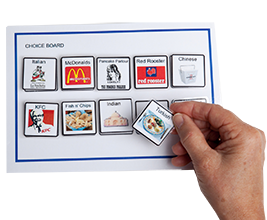 The board needs to be personalised according to the number of choices the person can manage, the person’s visual ability, and the pointing skills that the person has. It also needs to be portable, durable, attractive and have instructions for use on the back. 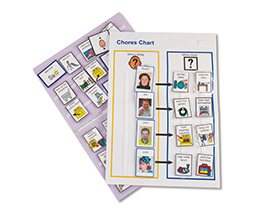 Chores charts are suitable for people who understand photos, pictures or line drawings. They use these symbols or photos to display the daily or weekly routine tasks within the home or work environment. Photos of the people responsible for these tasks are also used to give a visual reminder about what their jobs are, eg. unpack the dishwasher, feed the fish, sweep the floor. They can also be referred to as a jobs board or duty roster. 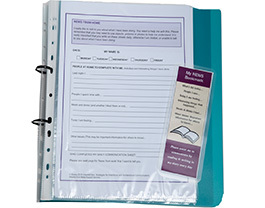 Communication books and boards can be made specifically to suit the person’s individual needs. Depending on their level of understanding, photos or line drawings can be used to represent people, places and objects. They can be categorised in a way that makes sense to the individual and can be adjusted in size, format and colour. Whatever it is that the person requires, we are able to make. 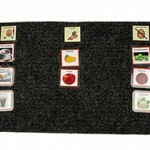 Placemats are suitable for people who understand photos, pictures or line drawings. 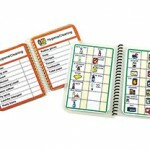 They can be used effectively at mealtimes, for example, when a communication book or device might not be available. Vocabulary should be suited to the situation and can include general statements or more specific symbols, words or phrases. 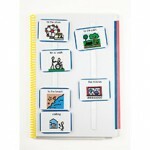 They are similar in format to aided language displays, topic boards, choice boards and theme boards. A communication profile is most useful for new or casual support staff who quickly need to know about the ways that an individual communicates. It is a form with information about a person’s communication needs, skills and abilities. It is designed to be a ‘quick glance’ guide that documents what the individual understands and the ways in which he or she communicates. May be suitable for people who want to request items and services in the community. They can be represented in photo, picture or object form. They include information about what the person wants eg. ‘white coffee with black sugar’, and what the communication partner should do, eg. ‘put the change back in my wallet’. 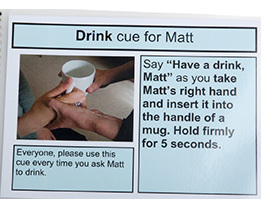 A number of different cards can be developed for different situations in the person’s life such as going bowling, eating out or going to the movies. Can be useful for people who need extra information to make sense of the ‘here and now’ in their world. Support people in the environment can provide a number of consistent sensory cues to the person during their daily routines. Cues can be visual, tactile, olfactory (smell) or auditory. It helps to present these in a user-friendly format for communication partners to ensure that consistent signals are used to show the person that an event or activity is going to occur. Diaries can be personalised for individuals. 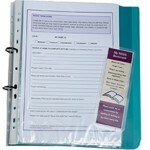 Laminated pages allow for the use of water-soluble markers to highlight or cross off days. 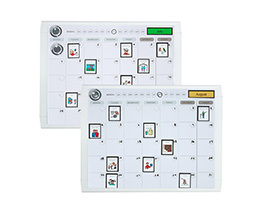 Self-adhesive line drawings allow different events and activities to be placed onto the relevant days. Extra vocabulary items can be requested. However, individual instructions for use need to be added. We all have our preferred way of going through the activities of daily living. This includes how we like to get dressed. Most people have a set sequence which allows us to dress quickly and efficiently. 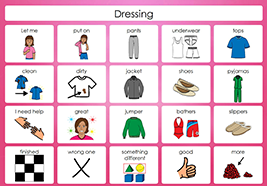 A dressing routine chart is useful when you have to rely on others to help with the process. Sometimes a number of helpers are involved and change can be distressing. Getting dressed in the same sequence allows the person being helped to assist as they are able to anticipate the next step. Any daily activity can be broken down into a sequence of steps and personalised for an individual. Overlays are required by people who use some electronic communication devices. 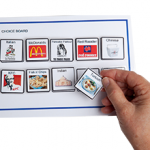 These devices have speech and/or print output and many need an object, photo, picture or word based overlays that communication partners can change for the individual when required. Standardised overlays can be developed to fit any device foe any activity. This is a black and white chequered mat that is used as a concrete visual symbol to represent ‘finish’. It may be useful for people who find it difficult to anticipate and accept that an activity is finished eg. art and craft is finished when the paint goes onto the mat. Other strategies that have been used effectively include using a finished box or finished bag. 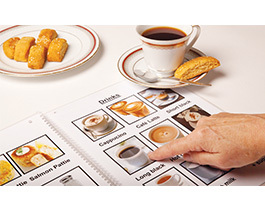 Menu cards may be suitable for people who understand photos, pictures or words. They can be used to prepare somebody for a visit to the canteen or ‘tuck shop’. Photos are taken of the menu items so that the person can see the options available and pre-select the items that they want to buy. 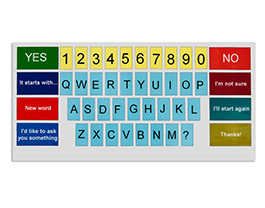 This communication aid allows access to a large vocabulary. The first pages cover the index and allow the user to “go to” a range of topics. Tabs make it easier to navigate through the pages. Each page allows the user to return to the index. The content may be picture, word or photo-based. Some people also include the alphabet if they have spelling skills. The vocabulary should be personalised to reflect the individual’s skills and interests. ‘My day’ books are a valuable way of using pictures and photos with people who need support to share information about the things that they have been doing in their day. They can be useful for people who need visual reminders. They allow for communication about the things that they have been doing, how they have felt, anything different or special that has happened, where they have been and anything they need to bring the next day. 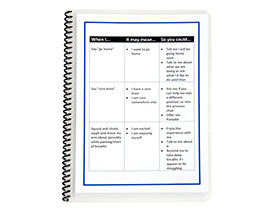 Communication partners in both the home and work or school environments can use a news book to write down what has happened during the day, how the person has been throughout the day and anything that they may need to remember to do or bring. There are a variety of ideas for different formats such as a “fill in the blanks” format or a ‘News’ bookmark. Object symbols (tangible symbols) may be suitable for people who can understand that whole or parts of real objects can be used to represent an activity. 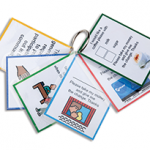 They can represent things, activities or events and can be used to help the person understand what is going to happen or to make a simple choice. 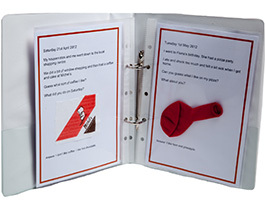 Using a real or partial object is the simplest and most concrete way of representing events and activities and therefore a good starting point for people with learning disabilities. The objects selected look, feel or have something to do with the item or activity they represent. 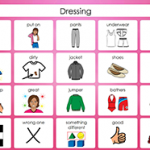 Object timetables may be suitable for people who can use objects or Object symbols effectively. They are presented in a sequence to represent daily or weekly activities that occur. Set-up will be varied depending on your specific needs. These are also referred to as ‘object calendar boxes’. A personal communication dictionary is more useful for partners who are unfamiliar with the ways that a person communicates. It contains information about unique or idiosyncratic communication behaviours. It provides information about what the person does, what this means and what the other person should do in response to the communication behaviour seen. A gesture dictionary can also be developed to include the signs and gestures that people understand or use to communicate. Personal history – A personal history provides communication partners with information and photos about a person’s life and family history. They include past and present skills and interests, likes and dislikes and future aspirations and dreams. It can be used as a conversation starter or to gain information about the person, especially when they find it difficult to express themselves and tell you their own story. 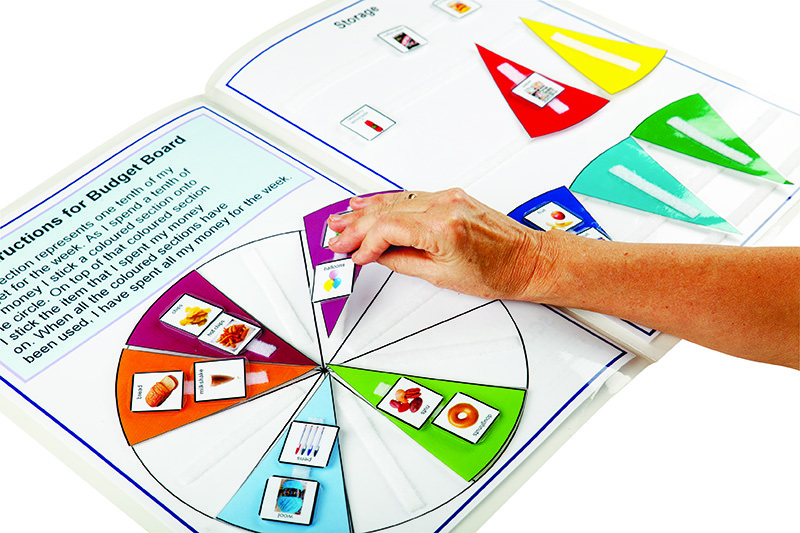 A sensory book is suitable for people who benefit from sensory information or enjoy exploring objects but can be used by almost anyone. 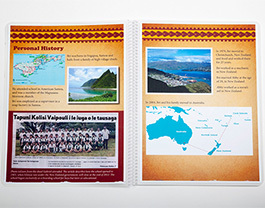 They can be in a bag, book or board format. It can provide the person with a series of different sensory experiences e.g. Touch, sound, vision and should be personalised depending on an individual’s preferences. 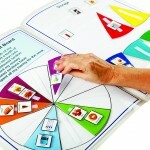 Sensory books are also known as tactile books or tactile boards. 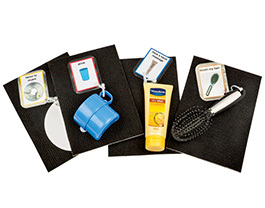 Shopping booklets have a pre-selected set of common grocery items including fruit and vegetables, meat and dairy products, personal care items and other household needs. They are designed to easily fit into a pocket or bag. 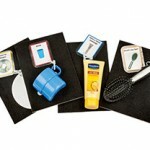 They are laminated so that water-soluble markers can be used to tick the items needed and then wipe off when bought. A picture based shopping list may be useful for people who need visual reminders about the items that they need to buy in picture or photo form. It uses photos, logos or pictures of the specific food items in various formats to develop a suitable shopping list that can be used in the home or day program. A pictorial book designed to assist with problem solving. The index covers key points such as where, when and how the problem occurred. 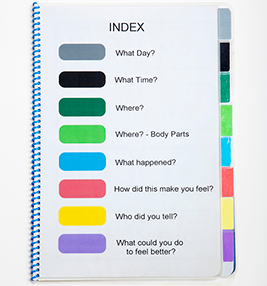 It asks the person to identify their feelings, who they told about the problem and what could be done to make them feel better. 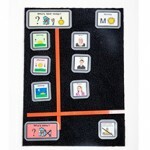 Talking mats are suitable for people who understand photos, pictures or line drawings. It is a strategy that allows people to express their opinion on certain topics or events that happen in their life. The person is offered a selection of activities or emotions relevant to the topic that they want to discuss. They then need to place the symbol somewhere along a continuum to reflect their feelings or experience of the specific issue ie. don’t like, so-so, like. Theme boards can be adapted accordingly for people who understand pictures, logos, photographs, or line drawings. They display vocabulary items related to a specific topic or event eg. ‘grooming activities’ or ‘watching TV’. The items displayed are usually labelled with written words or phrases. 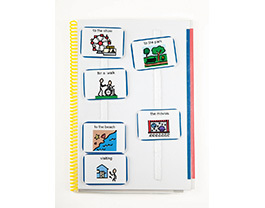 They can be used to help the person make choices about what they want to do during an activity or just provide them with vocabulary items related to that activity. 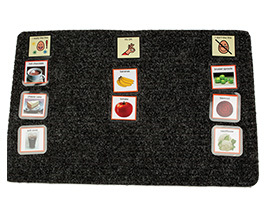 They are similar in format to aided language displays, topic boards, choice boards and communication placemats. 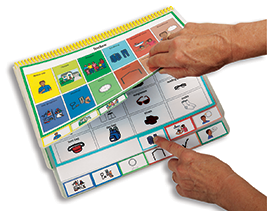 Timetables may be useful for people who need visual supports in symbol form to display daily or weekly activities and events. They use pictures, photos or line drawings to show the sequence of activities in a day or a week. Storage and display can vary greatly depending on the needs of the individual you are working with and must be considered carefully before the timetable is produced. 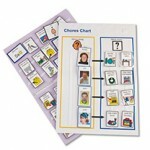 Charts are a visual support that uses pictures, photos or words to display the whereabouts of different people. It is especially useful for places where people are coming and going on a daily basis. It prepares the person for who they should expect to see and any changes that may occur unexpectedly. These charts may also be referred to as a roll call or movement monitor. A simple way to indicate yes or no. The individual wears adapted sweat bands on their left and right wrists. On the left band is sewn a line drawing for “no” and the word “no”. On the right band is sewn a line drawing for “yes” and the word “yes”. The person looks at or raises his or her hand in response to a yes/no question. Disclaimer: The Communication Aids & Resource materials described herein are for use only in accordance with appropriate professional advice. Scope (Vic) Ltd (“Scope”) accepts no responsibility or liability for any injury, loss or damage resulting from the deliberate or accidental misuse of its products. Subject to any applicable law that cannot be excluded, Scope makes no warranties as to the quality, fitness for purpose or merchantability of products or product components that Scope obtains from third party suppliers).